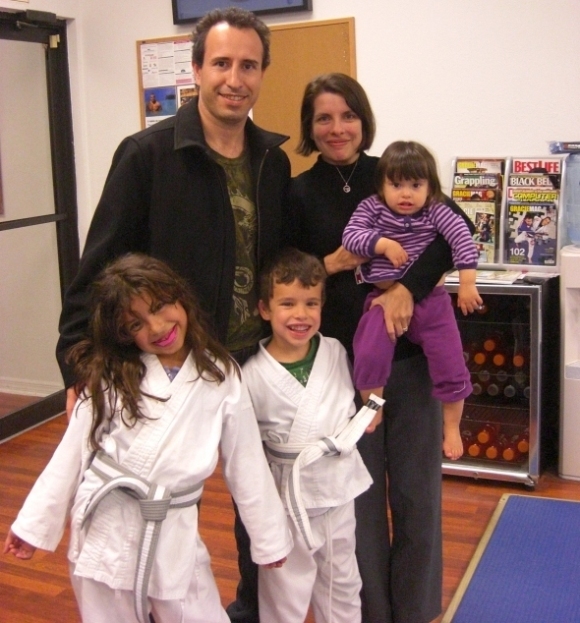 Send Me More Free Info About Kids Martial Arts Training in Naples! In our program you child will be able to progress at their very own pace. We understand that everyone learns differently. No matter if your child can only train once a week or everyday we have the program that will fit your needs. Does He Look Confident to You? My Name is Roberto Torralbas and I am the Owner of Third Law Brazilian Jiu-Jitsu! Please read this letter to get details on the AMAZING FREE OFFER I am opening up to you and your child! Learn to Avoid Peer Pressure! Learn How to Handle Bullies! My name is Roberto Torralbas and I’m a full time BJJ practitioner/competitor, school owner (Third Law BJJ Academy in Naples, FL), and Head Instructor/Head Coach. I was born in Havana, Cuba on December 19, of 1984. 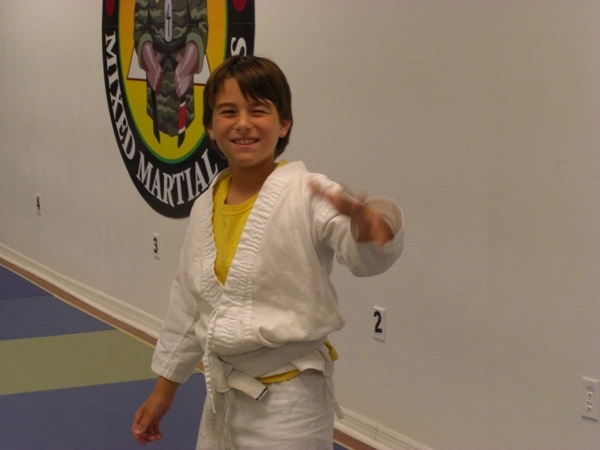 I started doing Judo at the age of 6 when my father decided it would be a good sport for me to try. Funny thing was, I loved baseball at the time. Back then, I couldn’t understand why my father was so insistent that that I do Judo. At first, I loved it. Running, jumping, climbing ropes, etc. … but there was a kid in the class could beat me at will at everything (running, jumping, sparring, etc…). I HATED LOSING. So I started making excuses not to go. I was nervous to go to class just because I didn’t want to lose. But my dad helped me face that fear by not letting me miss a single class. I didn’t grow up with my father because I left Cuba at the age of 9 and he stayed behind. But when I look at my experiences and memories to that age, I still remember this as the most valuable thing he ever did for me. Read my (full bio here). Why is that? As a young adult, I returned to the mats and began training again in a different style that is very similar but at the same time very different: Brazilian Jiu-Jitsu. Read my (full bio here, where I explain why I left Judo for BJJ). The educational system in Cuba was a bit rough. There were tough kids in those classrooms and he wanted me to learn ways to defend myself and not to be any bully’s victim. What I don’t know, is if he realized that self-defense was just the beginning of what he had done for me. From that experience, I learned valuable lessons that I still carry with me today: commitment, discipline, courage, confidence and persistence in overcoming obstacles. And that’s only the beginning. Jiu-Jitu is a science that studies a system of bio mechanics that allow a weaker opponent to defeat much larger ones. But that is just the tip of the iceberg. Being good at Jiu-Jitsu is not the primary benefit that practitioners get from it. Mental strength: The ability to manage your emotions, perform at your best, and overcome any obstacle. I truly believe that confidence, self-esteem, assertiveness, courage and other often-mentioned positive qualities are products of being mentally strong. My program is a great opportunity for you, as a parent, to equip your child with the ability to overcome any obstacle life may throw at him or her. While the rest of the world is trying to comfort your child (video games, friends, etc..), I will be CHALLENGING him or her in a carefully-designed curriculum. Think of me as the extra school teacher who cares the most about your kid, the one that wants to see your child succeed, go to college, and become a leader in whatever field he or she choose to pursue in life. To arm your child to succeed in life? To help them be the best they can be in school? To develop their self confidence? To assist them in developing their unique potential? Most parents do everything they can to teach these things to their children but After School many parents need some help. The 2-4 hours that kids spend after school before their parents get home are some of the most important hours in a child's life. How is your child spending their time After School? "Previously a timid boy, he is now capable of exerting himself in other sports and activities, in very positive ways..."
I am very happy that we have enrolled our six year old son, Adam, into the Head Start in Life Jiu Jitsu program. Initially, I was very reluctant, worried that my son would become bored, as was the case with a previous martial arts program. To my surprise, Adam's committment to the class has been quite the opposite. He has enjoyed all aspects of the program and always looks forward to each class. Adam is always eager to get into the car to head over to class, and will stop anything that he is doing in order to do so - video games not excluded. Most suprisingly, his enthusiasm for the program was obvious when he chose to give up other popular activities, such as the Boy Scouts when scheduling conflicts arose. Most importantly for me, as a parent, is the obvious growth that has occurred during these short 3 months. The physical skills that he has acquired have clearly translated into a new self confidence. Previously a timid boy, he is now capable of exerting himself in other sports and activities, in very positive ways. Lastly, although many martial arts schools claim to place an equal emphasis on respect and personal growth to self defense, I believe that the program at Head Start in Life takes those goals to a far higher level. A full ten minutes at the beginning of each class is dedicated toward promoting growth in areas of academics and character, as well as other areas that are not always associated with martial arts training. As such, one is just as likely to observe teaching in geography, multiplication tables, and etiquete as one would jiu-jitsu throws and pinning techniques. In the end, I would recommend the program to all children. Let's look at this example: The average child spends 3-4 hours somewhere after school before their parents come home. A child that goes from 1st to 7th grade spends about 200 days in school out of the year, This doesn’t even include the 8 hours a day for 2-3 months during the summer. 200 days times 3 hours is 600 hours a year a child spends doing what? Some go to babysitters. Some go home and play with their friends doing whatever they want. A lot just sit in front of the television. Others get into serious trouble. Not our students. Let's put this into perspective...Between the 1st and 7th grade a child spends an average of 4200 hours doing basically nothing productive. This time is more valuable than you know. In 4200 hours you could graduate from college, get your Masters Degree and your Ph.D. So why wouldn’t you let your child spend this valuable time learning skills that will last a lifetime? When our kids get out of school, their parents know that their child is being trained in real Life Skills. With our busy 21st Century schedules, it's hard to find the time and resources to really help them with these important life skills. You would think and expect that they would learn about perseverance, positive mental attitudes, self discipline and goal setting in school, but they really don't. Students who attend the Third Law Brazilian Jiu Jitsu classes are a step up on others because we teach them about these important life skills and how to develop them to their fullest! Success traits that will pay off for the rest of their lives. 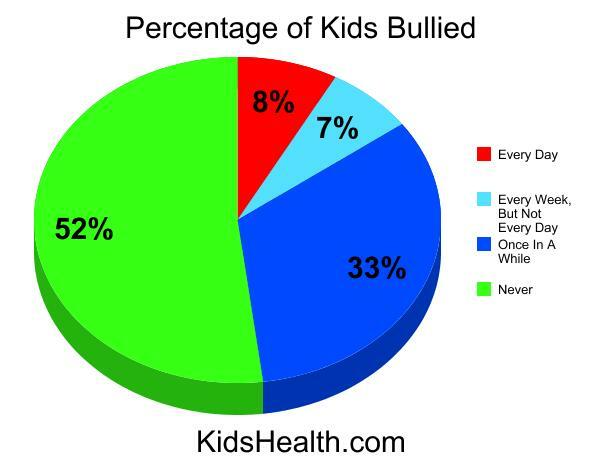 How often have you been bullied? How often have you bullied others? 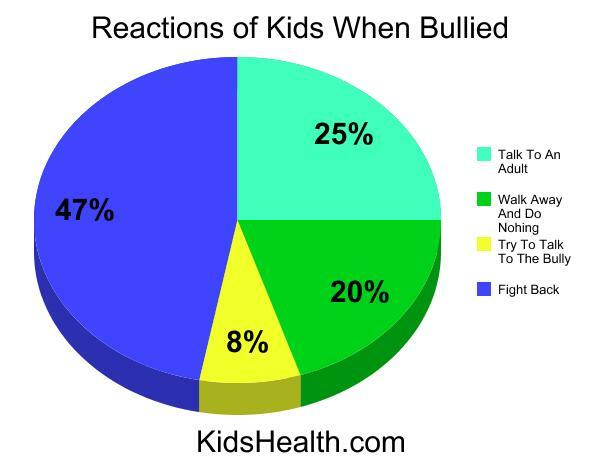 It can be hard for kids to know what to do if a bully bothers them. Violence isn't a good way of solving problems, because both kids could get hurt. Also, fighting usually results in getting both kids in trouble, even if the bully started the whole thing. At the end of the day, the bully still gets the satisfaction of seeing the other kid get really upset. 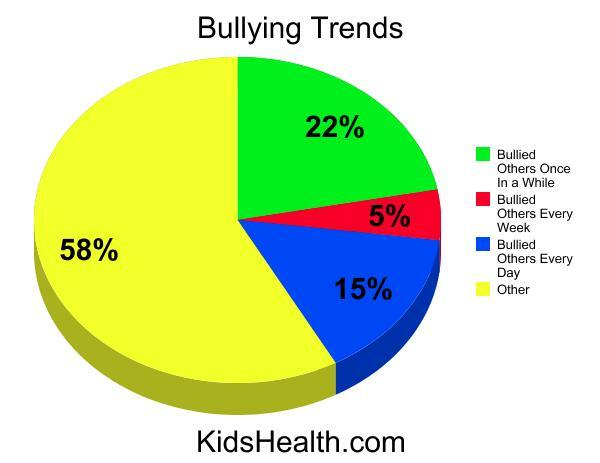 There are many ways of beating bullying--the best of which is to avoid conflict and violence altogether, especially in this day and age. That's why it's so important to know how to Defeat Bullies Without Violence, but also to be able to defend yourself with force, of course only when it is absolutely necessary to do so. You will be able to rest assured that your child will have all the tools necessary to become a successful leader. Our Program Can Change Your Child's Life! "Attending as a father/son combo has been an incredible bonding experience..."
My son Ethan (10 years old) and I both attend Third Law and absolutely love it. The conditioning is more challenging than any other martials arts program I have done before. Roberto is an excellent passionate instructor who really pours every thing he has into his students. My favorite part is that at the end of the class we have matches with each other to apply our new techniques. It is a blast rolling around with people of different body sizes, strength, and skill. We are all there to help each other grow and you see it in each other. No egos here. I recommend this class to all- and attending as a father/son combo has been an incredible bonding experience. Good Question! In our program, we don't believe in just teaching children to punch and kick.We work to help build your child's character. During classes, you'll see your child's energy, confidence, and spirit rise while he or she becomes strong and confident. We're not just talking about physical strength--but the kind of strength it takes to resist peer pressure and other negative aspects of life. 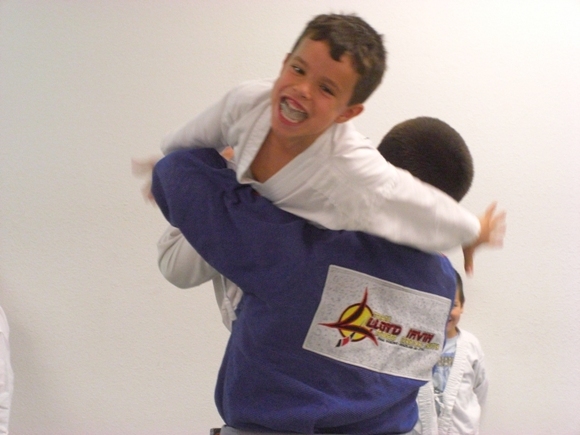 Our Brazilian Jiu-Jitsu Program will arm your child with a host of positive mental and physical skills that will help him in school, at home and in life. The result? Your child will learn to succeed! You'll see a new kind of discipline emerging . . . the kind that will positively affect all areas of his or her life. You'll notice an increased respect for others, and most importantly, for herself. A powerful mind/body connection that makes them unstoppable in life! It's incredible, but true. The martial arts is not only a sport that can be enjoyed throughout a lifetime, but can also improve your quality of life! Just CLICK HERE to head over to our Adult Brazilian Jiu-Jitsu website and read some of the testimonials! The benefits for Adults have been tremendous and we all know how much quicker Kids learn than Adults! Even if your child is involved in sports, it may not be enough. Recent studies show that programs like ours that focus on personal achievement are vastly more effective than team sports! Grade Improvement: The grades go up and stay up! Our program offers a lot more than just self-defense and physical agility. It is an educational/Black Belt program that will give your child the discipline needed to study, complete homework, and organize their time wisely. Ultimately, this leads to better concentration at school and better grades. We make success a habit, not a chore! Leadership Skills: To help them succeed in life! 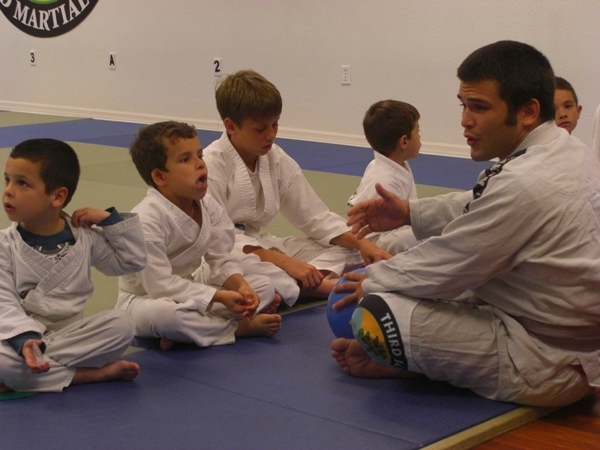 Brazilian Jiu-Jitsu will teach your child how to set goals and take responsibility for their own actions. These qualities, more than any others, will help your child develop as a leader and not as a follower. This, in turn, will ensure their success in school, college and life! 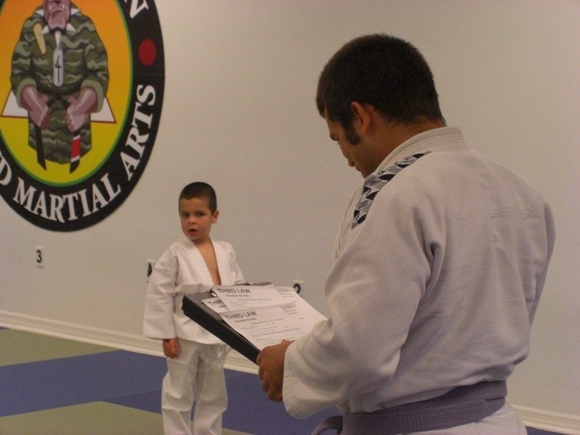 Increased Physical Aptitude and Fitness: To help your child develop physically! Our programs increase speed, stamina and agility in children. They also help develop balance, coordination and timing, which helps your child in sports and other activities. Mental Development: To give your child the courage to say NO in the face of peer pressure! One of the scariest problems facing many parents today is the possibility that their child may become involved with drugs. The number of children taking drugs at a younger age is staggering. Our program is designed to promote self-confidence and self-esteem--giving your child the strength to resist peer pressure. High Energy Classes: Fun-filled classes your child will truly enjoy! From the children's point of view, the best part about our program is how much fun the classes really are. We focus your child's energy in a positive and productive manner. 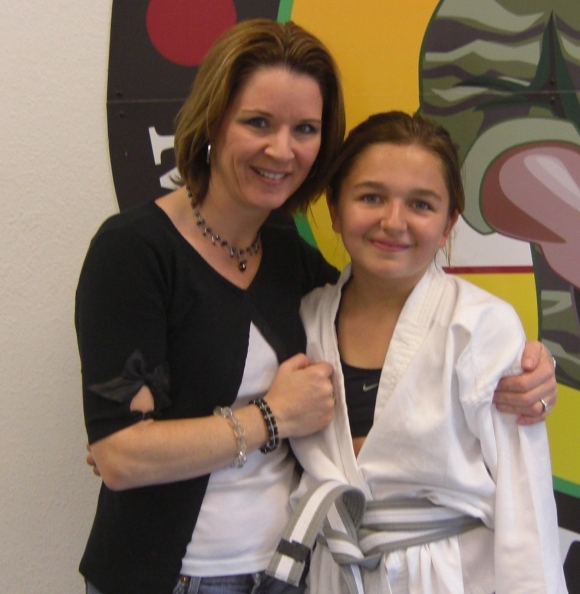 Realistic Self-Defense Skills: That could save your child's life! While we wish it weren't a factor in our program, that fact remains that we live in a world full of undesirable people. We don't give children a false sense of reality by teaching them unrealistic flashy techniques - no jump kicks or karate chops here. Our kids learn the same techniques that our Adults are. 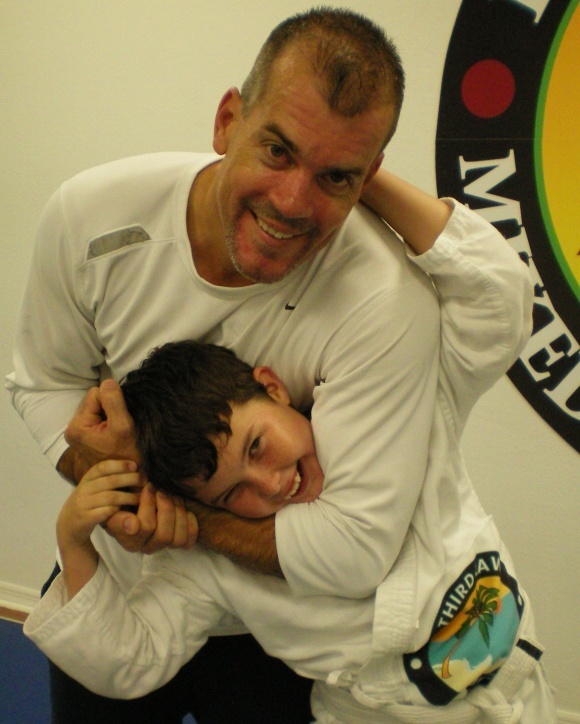 Our program teaches your child how to protect themselves in real life threatening situations. This invaluable skill could be the difference between life and death! Personalized Attention: To ensure rapid progress! We focus on quality instruction and personal attention. Our students are treated as individuals. All of our classes are taught by highly trained instructors committed to excellence and continued learning. You'll feel safe knowing your child is receiving the finest instruction possible! Don't Take Our Word for It... Come and Try It For Yourself! "My fear was that he is young so that he would lose interest. I was completely wrong. 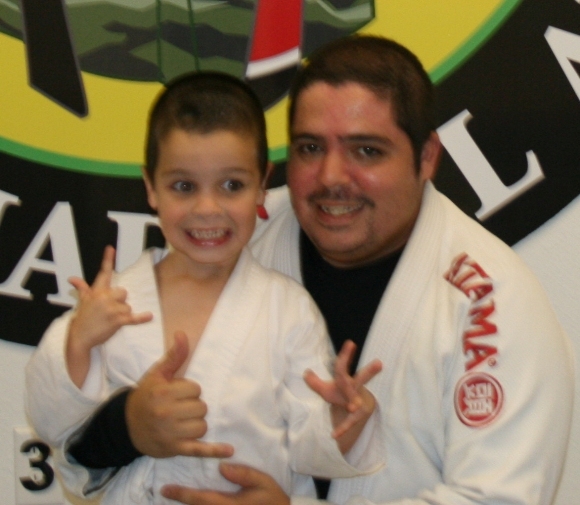 He has taken to learning from Roberto like a fish to water..."
My name is Wilson Rodriguez and my son Aiden is 5 years old.I have been training with Roberto for almost a year and the things he has taught me have greatly improved my health and my life. Roberto told me about the kids program and as soon as my son turned five, I asked what he would like to do. His answer was Jiu-jitsu. I was very proud to know that he wanted to learn the same thing as me. I had originally thought of putting him in just soccer, but to be fair to him I wanted him to make the choice. My fear was that he is young so that he would lose interest. I was completely wrong. He has taken to learning from Roberto like a fish to water. He thinks its so cool that my instructor, is also his instructor. I had no idea how much this decision would affect my sons life as well as my life, in a positive way. My son and I have now formed a very close bond. I cannot say enough good things about having a child in the BJJ class. My son beams with pride now. He learns to follow rules. He learns to respect his peers and his elders. This also helps him in the future with his health as well. He learns that good rewards come with hard work. All these aspects will help him in life when he goes out into the world. Mostly what I love about the children’s classes is seeing the smile on my sons face when its his day to go to class. Taking the classes as father and son has greatly improved our relationship with each other. Not many sports let you learn from the same coach/teacher. Seeing how Roberto takes the time to help the children with the drills and technique while still keeping it fun. As most parents know, kids learn a lot when they are having fun doing it! If I sacrifice just a little time, the payoff to my sons well being will definitely be worth it. Our family has seen so many positives things come out it that our youngest son Sebastian will definitely be signed up when he turns 5. I would suggest anyone thinking of a sport for their child to come in and check it out. You will not be disappointed. I've made it very easy for you to find out if our program is a good match for you and your child. 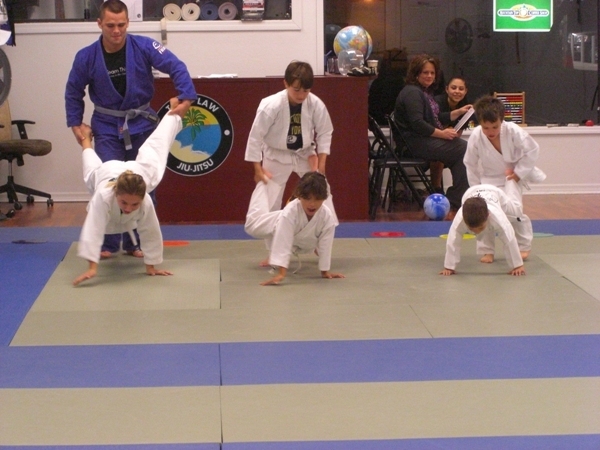 Your child will receive 2 private lessons with one of our highly trained instructors and participate in a regular class. This will give you a chance to visit our school, meet our staff, and you can work with our instructors. This is your chance to interview us with NO OBLIGATION! FREE STUDENT-PARENT CONFERENCE: Before or during the introductory program we will meet one-on-one to discuss your child's needs and your child's progress. We will educate you regarding our program and help you understand the developmental process for your child. We will give you tips on how to reinforce your child's development and share with you how our school can help you achieve you and your child's goals. 2 PRIVATE LESSONS ($50.00 value): I'm offering you two 15-minute private lessons. See for yourself if, in fact, I can give your child the powerful benefits promised in this letter. During these lessons your child will have an opportunity to build a closer relationship with the instructor and we will have an opportunity to answer any and all questions that you may have about our program. A WHOLE MONTH OF TRAINING ($150.00 value): You will be amazed at the progress your child will make in ONE SHORT (FREE) MONTH! I bet our classes will be her favorite after-school activity! A JIU JITSU UNIFORM ($80.00 value): Watch how excited your child will be the second they put the uniform on. This is just the beginning. We're giving you $280 worth of services and products for FREE! All of this for FREE, just to check us out. That's how confident we are in our program. Now you have to take action and see it for yourself. 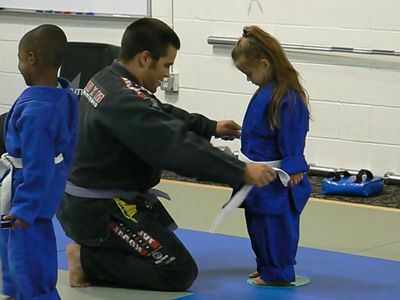 "Francesca, has really taken to Roberto’s BJJ Junior program at Third Law. She looks forward to going to her classes each week and learning new moves. She enjoys the art of BJJ and she takes it seriously. She is looking forward to the future, her future in BJJ! It has been a wonderful transition thus far with a great sense of accomplishment! I’d have to say, she’s hooked!" My name is Colleen and I was looking for a martial arts program or school of self defense primarily for my daughter with the notion in the back of my mind that perhaps I too could enroll and reap the physical benefits of getting in shape and perhaps learning a thing or two. I wanted a program for my daughter that was a true learning program, one that would prove to be challenging, utilizing problem solving skills, and strategizing, just like we use in life everyday! My eleven year old daughter, Francesca, has really taken to Roberto’s BJJ Junior program at Third Law. She looks forward to going to her classes each week and learning new moves. She enjoys the art of BJJ and she takes it seriously. She is looking forward to the future, her future in BJJ! It has been a wonderful transition thus far with a great sense of accomplishment! I’d have to say, she’s hooked! The benefits that I’ve gained since joining Third Law have far surpassed what I had imagined! First of all, I’m learning BJJ which is fantastic and really empowering! Good technique is based on leverage not strength, so for a small woman up against a larger man, this knowledge is priceless. In addition, it is a great work out because it keeps my mind engaged, it exercises just about every muscle in my body, it offers strength training by means of trying to push against another body, and it increases your flexibility, and you get cardio in every class. It sure beats going to the gym! I’ve gained strength, flexibility, and endurance. I’ve lost some weight and some inches, and it feels great! It’s all been fun and interesting and never dull and mundane. Both Francesca and I are truly enjoying the program at Third Law BJJ. 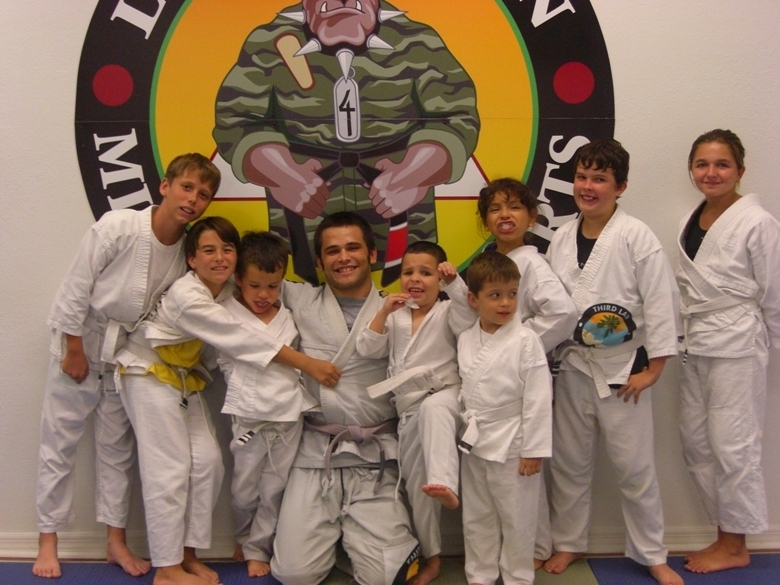 Roberto makes learning the art of Brazilian Jiu Jitsu fun and interesting. He makes you want to strive for more and do your best. Third Law makes it fun! Roberto is very dedicated to his program and to each of his individual students! His dedication, professionalism and reflective determination have spread through his academy. His students likewise share in his sense of enthusiasm and are always so insightful and willing to help and assist so that you can be the best at your game. Pick up the phone and call Third Law BJJ at 239-628-3LAW (239-628-3529). If you're a more internet-savvy person, just click here to contact us. We'll answer any additional questions that you may have and schedule a special time with our head instructor to work with you and your child. You'll be glad you did. Thank you and we'll see you soon.